You may have heard people say they have slipped a disc, but what they really mean is they have a disc issue such as a bulging, herniated, dessicated or ruptured disc. This can occur anywhere along the spine but today I'll be discussing Lumbar disc issues. The intervertebral discs are like small sponges between each spinal vertebrae and act as supportive cushions and among other functions help to absorb impact. Each one is filled with fluid and is made up of an inner nucleus pulposus surrounded by an annulus fibrosis which allows the disc to withstand various forces and also helps to draw water into the discs. Bulging discs are common as we age as the fluid in the discs begins to dry out and can be present on CT scans but don't necessarily always cause pain. It's usually when the disc is compressing a spinal nerve that people experience back pain and or nerve pain radiating down the legs and sometimes numbness in the feet. 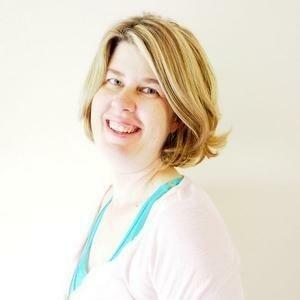 Over the past 13 years, the majority of my clients at my studio have started Pilates due to Lumbar disc issues and most have gone on to become pain-free and then have the Pilates knowledge and tools to manage any flare-ups. Once you have had a painful lumbar disc issue it really does come down to being able to successfully manage your condition. Pilates helps by strengthening the abdominal muscles, pelvic floor and glutes, which helps to stabilise the pelvis. Gluteal strengthening is particularly important as pain and injury can cause these muscles to switch off leaving the whole body without adequate support. It's necessary to retrain these muscles to activate correctly, then reinforce this with appropriate strengthening. Back extension exercises help to both strengthen the back muscles and improve posture and many people find extending the spine provides some pain relief as it relieves the pressure on the spine. Flexing the spine usually aggravates the condition in the early stages but it's important to work towards mobilizing or moving the spine in all directions as flexion as an important part of daily life and re-educating the body to be able to flex comfortably is essential. Foot strengthening exercises are essential too as the majority of people with back pain have very tight foot muscles, and the arches of the feet become locked. Everything really is connected in the human body so releasing and strengthening the feet provides a stable base and positively influences all the structures above them. 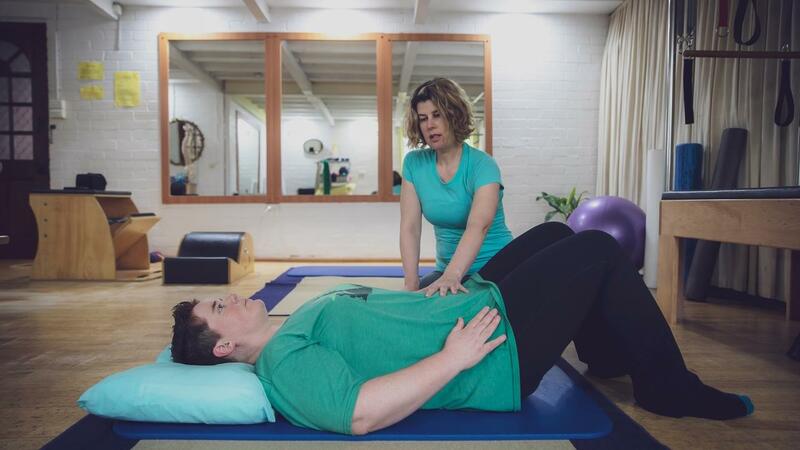 If you are dealing with lumbar disc issues, it's crucial that you find a Pilates Practitioner who is experienced in dealing with these issues. My Online Pilates program caters for lumbar disc issues and is based on the same exercises and techniques that I have used successfully to assist many people to become pain-free over the past13 years. Get clearance from your GP before you start a Pilates program and most doctors prefer their patients do Pilates as an alternative to spinal surgery which should always be a last resort. While Lumbar disc related pain can be very debilitating and really affect the quality of your life, I encourage you to investigate Pilates further and so if it is appropriate for you. Having seen so many people become pain-free over the years with Pilates, I highly recommend it as the perfect way to manage this condition.